The Keyscan PX610 Mid Range Indala Prox Reader has been discontinued. No direct replacement is available. Designed to withstand the tough rigors of the access environment. Keyscan's PX610 Mid Range Indala Prox Reader 125 kHz proximity access control readers offer a wide range of dependable choices to suit your requirement. PX610 Mid Range Indala Prox Reader readers are durable and weather resistant. All readers, cards and tags are pre- configured for Keyscan 36 Bit wiegand output, offering off the shelf ordering. No need to remember your last card numbering sequence. 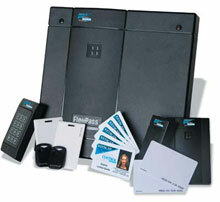 Lifetime warranty on cards and readers.